Somehow I have never managed to get a post about this quilt despite finishing it in September! I did most of the work on it in April, but didn’t manage to get the binding on until September. 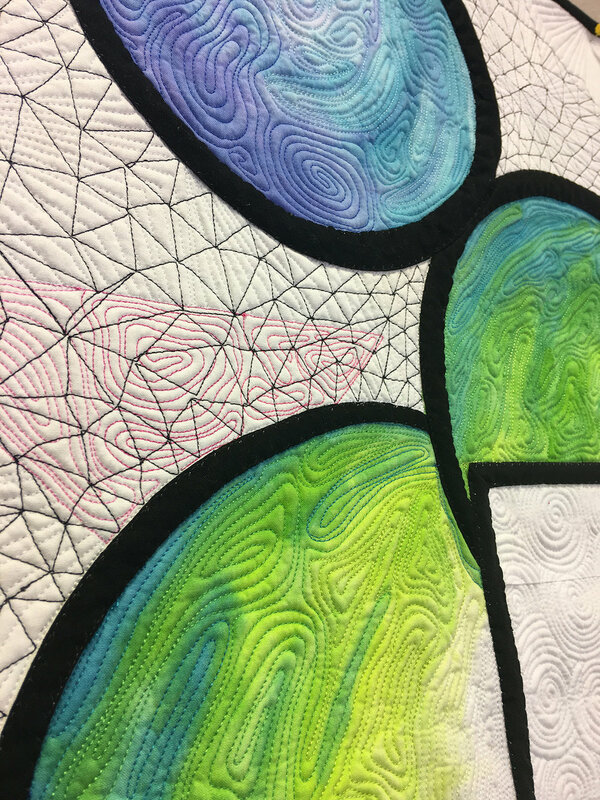 Here are some in-progress shots of the quilt! 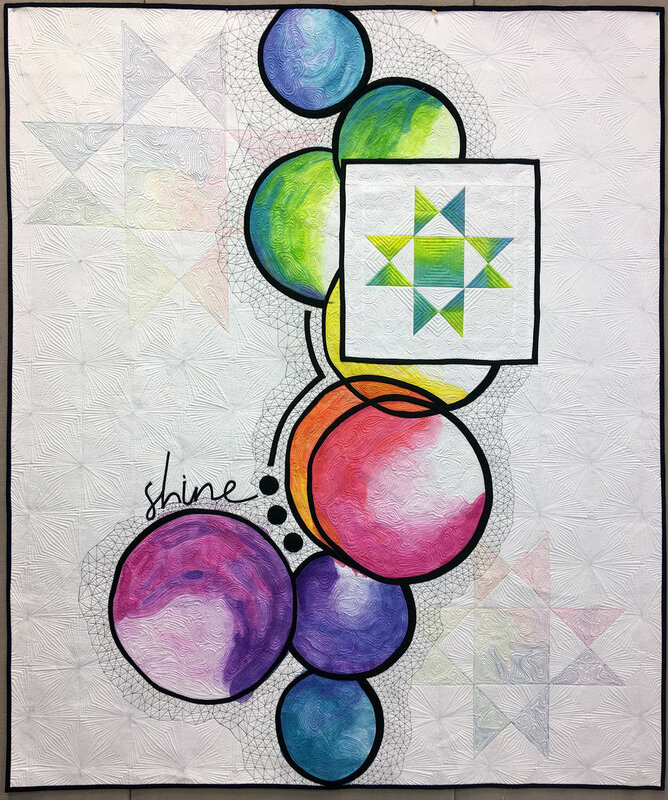 I took the piece I cut out from behind the Ohio Star block and made a mini quilt out of it. The quilting for this quilt took an absurd amount of marking. More than on any other quilt I have ever done!